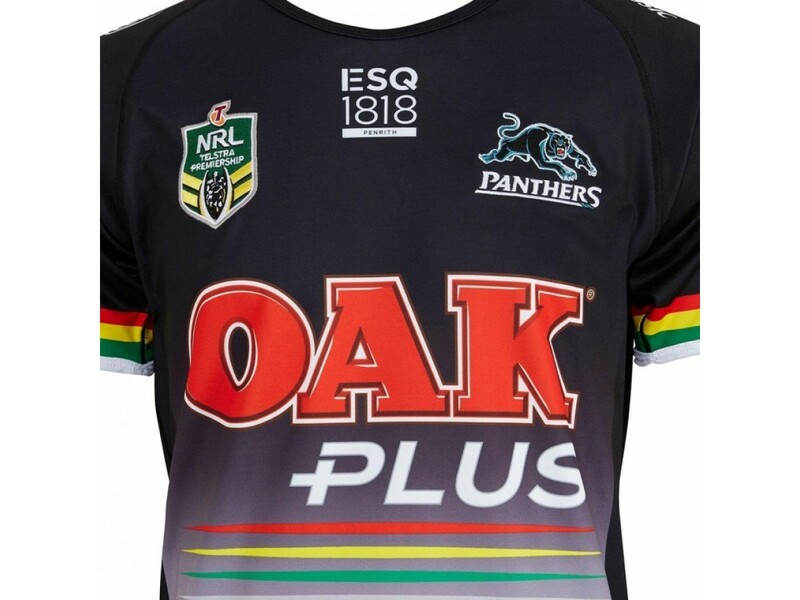 Show your undying support for the Panthers this season as they seek to take-over the 2018 season with the Penrith Panthers 2018 Men's Home Jersey. 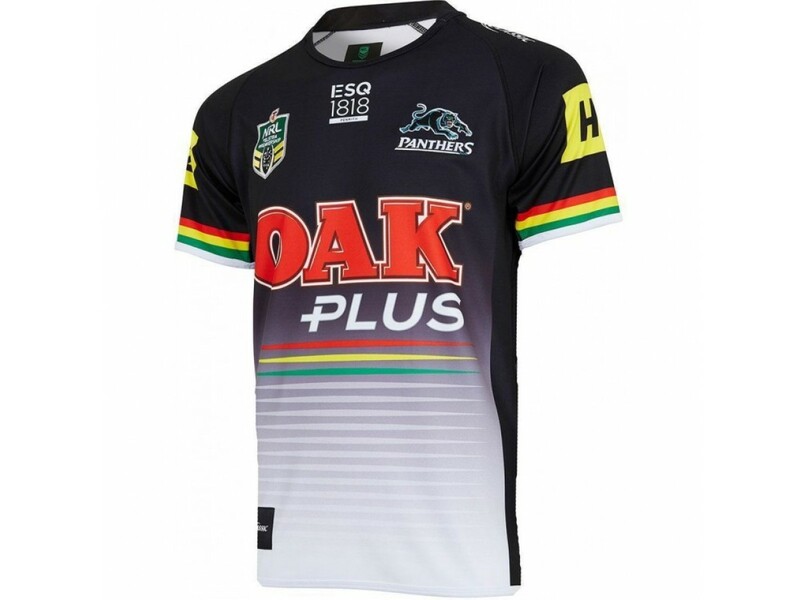 Constructed with a Polyester EVOTEK fabrication, for maximum performance and lightweight endurance to see you through the long and arduous season. 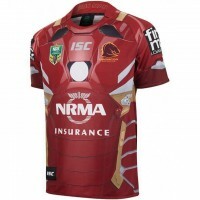 Featuring a re-designed rounded v-neckline, the engineered seams ensure lasting durability. 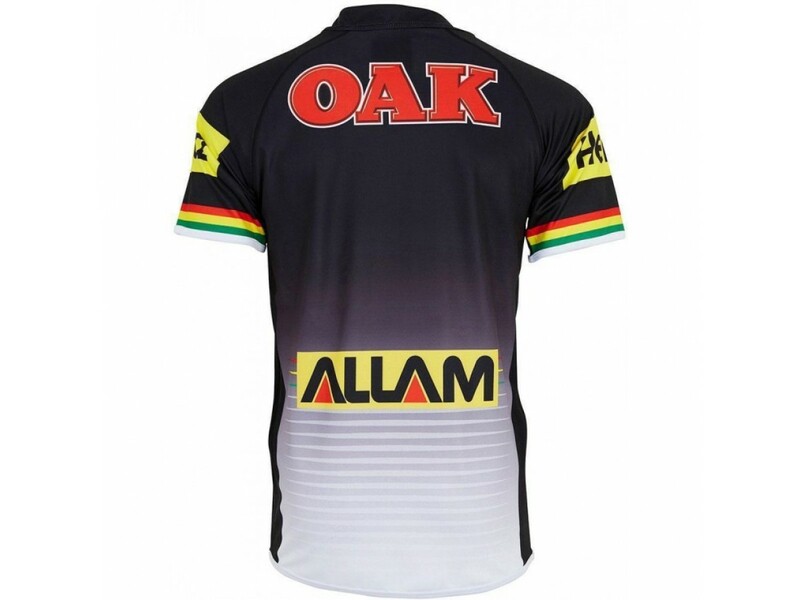 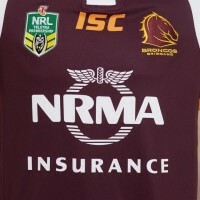 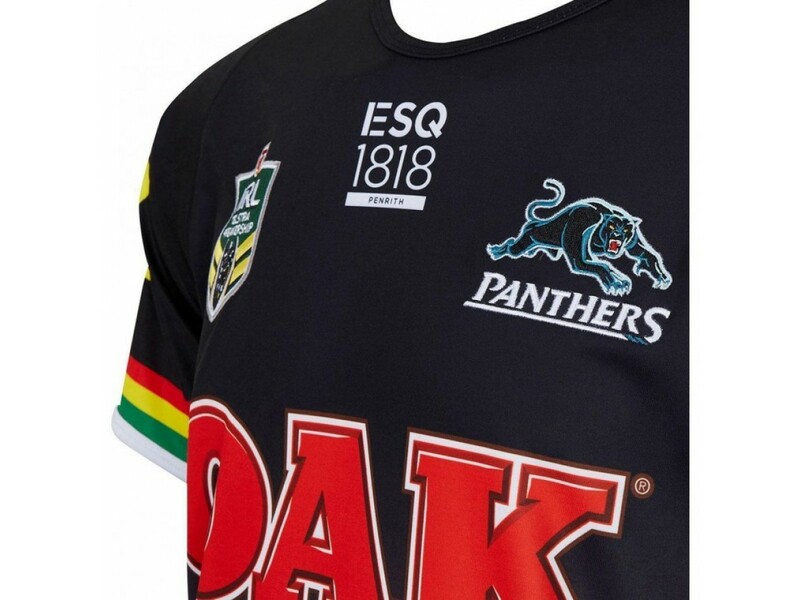 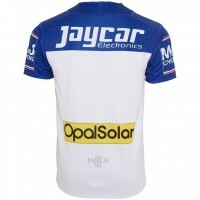 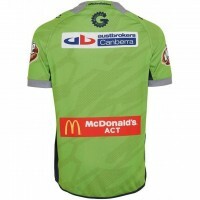 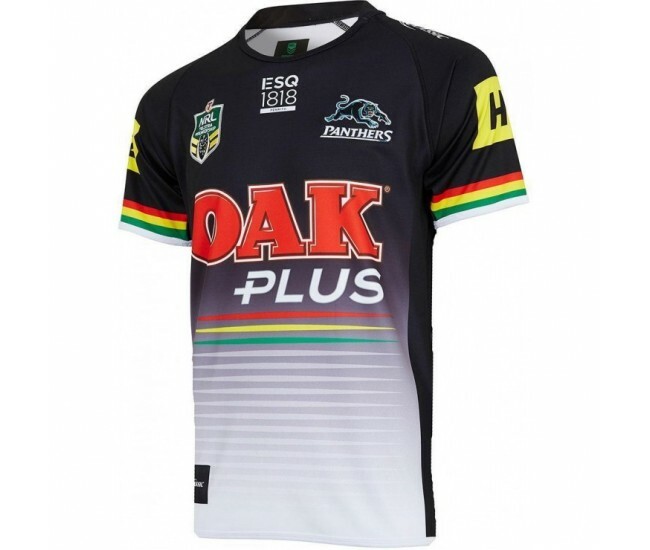 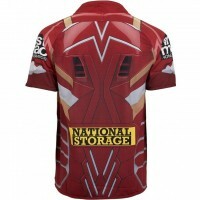 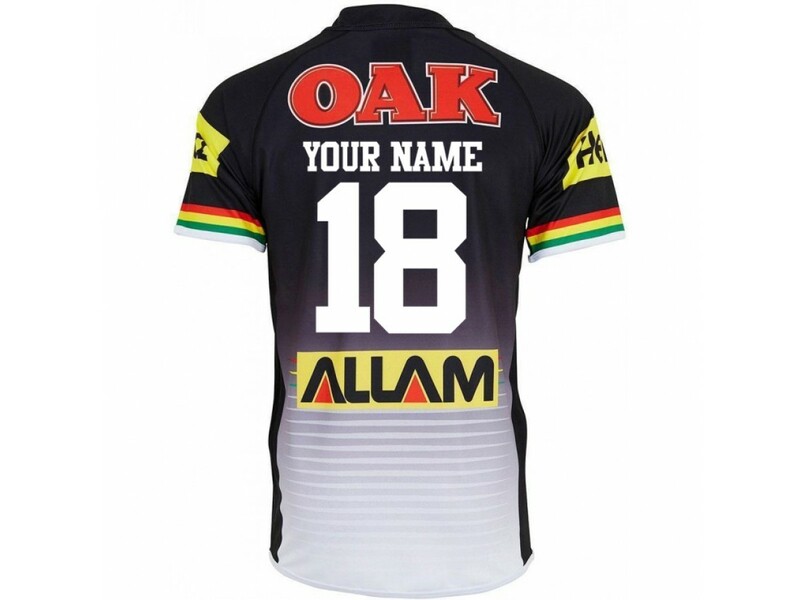 Featuring the a return to 1991 with red, yellow and green stripes with embroidered chest logos and woven locker label at the right hem, the fully sublimated design and team and sponsor logos help you stand with the Panthers as they chase premiership glory.